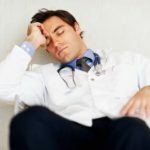 Fatigue Management: Know The Warning Signs and Risks of Fatigue! According to WorkSafe’s website, there are various causes of fatigue in the workplace. Time of day or night worked. Obtaining a scarce quality of sleep over an extended period. Fatigue can cause a person to function irregularly while also lowering performance and productivity. A lack of sleep can greatly increase the risk for potential incidents and injuries to occur. The only long term method of treating and preventing fatigue is through adequate amounts of sleep. The average person needs about 8 hours of sleep a day, but after consecutive nights without sleep, the worker will develop “sleep debt”. Sleep debt greatly increases the levels of fatigue. The causes of sleep loss can include a number of factors in the workplace. Firstly, extended work hours can cause workplace fatigue. Other factors such as; irregular and unpredictable work, Shift work, stress, and working more than one job; can all cause fatigue. Long hours and shift work can disrupt the bodies sleeping patters which can lead to fatigue. Shift workers appear to get less sleep than those who operate under normal working hours. This is often because the sleep during the day is of less quality due to various factors such as daylight, traffic and disruptive noise. Having a high level of fatigue can lead to accidents and injuries. Fatigue can affect one’s ability to think clearly since people who are fatigued are unable to gauge their level of impairment. The level of performance appears to deteriorate as work becomes more strenuous and long, and sleep loss increases. Fatigue affects the ability to think clearly. As a result, people who are fatigued are unable to gauge their own level of impairment, and are unaware that they are not functioning as well or as safely as they would be if they were not excessively tired. A hindrance on any of these abilities can result in a catastrophic and fatal injury .This is of significant concern to workers who operate heavy machinery (including driving) and performing critical tasks. A lack of fatigue management training can result in asthma, depression, diabetes, heart disease, high blood pressure and numerous other ailments or injuries.